Below you will find ARGENTINA VENDING MACHINE COMPANIES. These Argentina Vending Companies may offer Snack, Soda, Drinks, Food, Deli, Coffee, Healthy vending machines, Micro Markets, Amusement Games, Repair services and more! These suppliers are listed below alphabetically by company name, please contact them direct for more information about their vending services and products they offer. Arigato SRL – Amusement and video game machines – based out of Buenos Aires, Argentina. Servicio De Vending – Maquinas Expendedoras Automaticas – Av. Belgrano 2015 (1870) Avellaneda, Buenos Aires. IVM, Inc. began in 1991 as a company dedicated to maximizing their clients’ income and handling their distribution through high level technology. Throughout the years, IVM has grown and succeeded by staying true to that original goal. 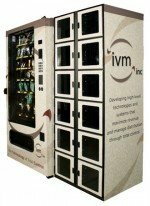 IVM now handles all supply vending responsibilities for our customers throughout the United States and internationally.